Called “a stellar artist by any standard and the orchestra’s obvious sparkplug” by the Denver Post, Cynthia Miller Freivogel performs on both modern and baroque violin. In addition to being the leader and concertmaster of the Baroque Chamber Orchestra of Colorado, has been a leader for ARTEK, Concerto Köln, Concerto d'Amsterdam and Joshua Rifkin's Bach Ensemble at the Stockholm and Antwerp Early Music Festivals, as well as in the Hague with Collegium Musicum den Haag and Musica Poetica where she recently appeared as a soloist at the Festival of Mozart in den Haag. As a chamber musician, Ms. Freivogel was a founding member of the Novello Quartet and the Coriolan Quartet, both of which were dedicated to the performance of the string quartets of Haydn and his contemporaries on period instruments. She was also a core member of Brandywine Baroque in Wilmington, Delaware, where she made several recordings, including Corelli Op. 5, on the Plectra label. Since relocating to the Netherlands, she has founded the Hopkinson trio which explores repertoire from the 17th century through the early classical era. She is an original member of the Tulpen consort (with soprano Johanette Zomer) which debuted at the Göttingen Festival in May 2013 and she has performed often with Vox Luminis and Scorpio collective based in Brussels. As a solo artist, she has been heard playing Biber at the Berkeley Early Music Festival and the Vilsmayr Partitas at the Utrecht Fabulous Fringe. In the last year Ms Freivogel was featured playing solo Bach at the Seizoen Oude Muziek Bach Days and at Bach-Sommer Arnstadt. She has enjoyed collaborating both with visual artists and dancers, most recently performing early music with newly choreographed works by Garrett Ammon of Wonderbound in Denver, Colorado. She has played in the section with chamber orchestras from the west coast to the east coast and now in Europe, including with Holland Baroque Society, Amsterdam Baroque Orchestra, American Bach Soloists, Apollo's Fire, Portland Baroque, Handel and Haydn Society, Boston Early Music Festival Opera and she was a tenured member of Philharmonia Baroque Orchestra. Ms. Freivogel received a BA in musicology at Yale University and an MM in violin performance at the San Francisco Conservatory. She studied principally with Camilla Wicks and Marylou Speaker Churchill, and is a dedicated and certified Suzuki teacher. 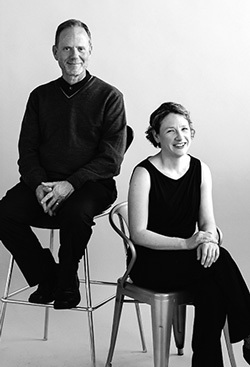 Frank Nowell founded the Baroque Chamber Orchestra of Colorado in 2005, and the ensemble quickly garnered acclaim for its “artistic vision, authenticity, and devotion” under his leadership as Artistic Director and harpsichordist. 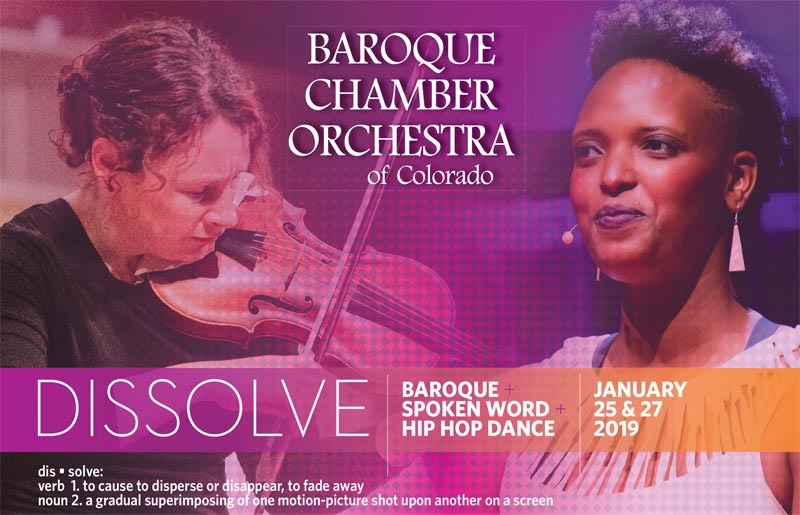 Founding the orchestra fulfilled a long-held dream to expand the Denver arts scene to include a professional orchestra devoted to historically inspired performances of music from the 17th and 18th centuries. An active performer as a Baroque keyboard specialist and “early music entrepreneur,” Mr. Nowell was previously co-founder of the early music group Diverse Passions and founder of the Denver Handel Festival. He is a frequent guest artist, collaborator, and soloist, including recent appearances with the Colorado Symphony Orchestra (Art of the Baroque and Four Seasons), Off the Hook Chamber Music Festival, Up Close and Musical, Colorado Music Festival, Boulder Bach Festival, Pro Musica Colorado, Voices of Light, and St. Martin’s Chamber Choir. As an organist he earned Associate certification (AAGO) from the American Guild of Organists and has recorded on the Cygnus label. Mr. Nowell takes joy in introducing people of all ages and backgrounds to Baroque music and in collaborating with a wide range of artists to bring new dimensions to this music. He received the Master of Music degree in choral conducting and music history from the University of Colorado, and a Bachelor of Arts degree with honors from Princeton University.